This is the time of the year when people start making New Years resolutions. 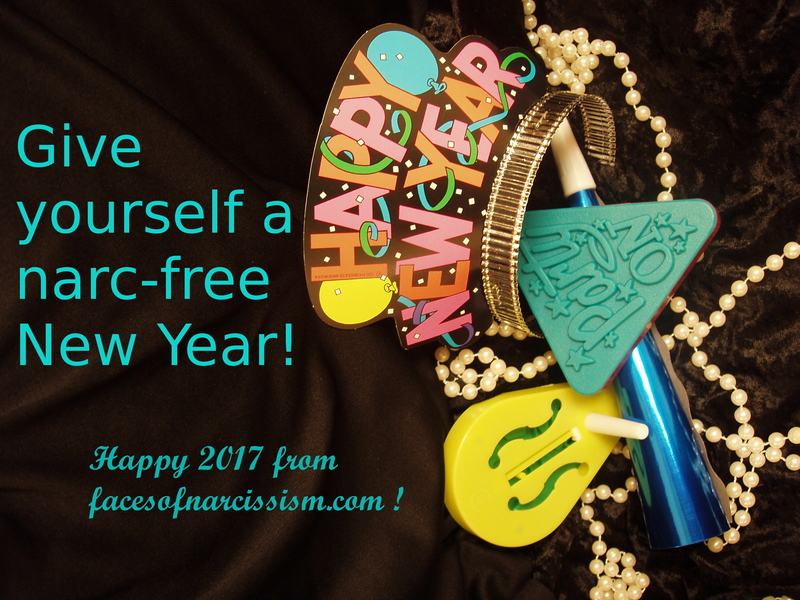 I honestly can’t think of any I want to make this year…other than to continue protecting myself from narcissists! I know a lot of people are still in touch with the narcissists in their lives for whatever reason, but I honestly encourage you to reconsider. Narcissists don’t change, and you deserve better. Imagine all the losses if you leave a narcissist–stress, frustration, depression, anger, sadness, lies…and more. Those are GOOD losses! And when you lose your narcissist, you can gain peace, happiness, strength, self-esteem, hope and more–all the best things life has to offer. I am currently as narc-free as I can be, so I dedicate my new year to protecting those boundaries from narcissists past and present.